You have to pay attention to the state of your roof even if you used the best roofing material to make it. After proper installation of a roof, regular maintenance and care needs to be provided to make sure that the roof lasts for the period that has been stated by the manufacturer. Before we delve into the various ways of increasing the lifespan of your roof it is recommended that you use durable roofing material and proper expertise to roof your property. 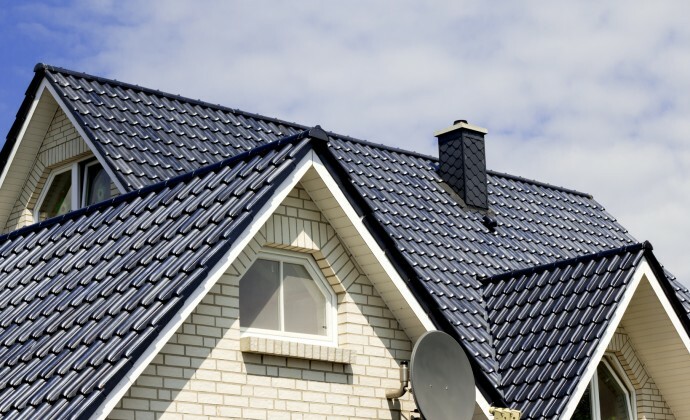 The more durable roofing materials are metals or tiles relative to the asphalt shingles which have a shorter lifespan. Before acquiring a new house, you should enquire about the age of the roof in place to know the maintenance needs and how long it will last. You need to keep your roof’s gutters clean. This will help in avoiding the damage to the lower deck board, the fascia and the soffit boards located along a given gutter as a result of unnecessary water accumulation. See to it that you get rid of the debris on the roof such as fallen tree branches or leaves that may accumulate along your roof’s valleys. Be keen to sport any ice dams that may develop during winter season as the snow that accumulates on the roof partially melts. Make sure that your roof is professionally inspected after every three or two years. This will help you to execute timely repairs on subtle damages that may go unnoticed by you. It is particularly useful to note that weak spots could begin to form on the flashing points. Ensure that you have proper attic ventilation. Your roof could start to age prematurely if the attic ventilation is poor. This is especially the case during the summer when the temperature at the attic could rise to as high as 160 degrees for a poorly ventilated one. The result is superheated air that could easily penetrate the attic insulation increasing the cost of cooling your house. Shingles could be particularly susceptible to this as the superheated air makes them to decay much faster. Provide insulation to your roof. Insulation helps to reduce the process of heat transfer and thus helps to keep homes cooler in summer as well as warmer in winter. Insulation on the roof could also help to maintain the temperature at the attic at a safe value. This not only reduces the energy bills you will have to pay but also helps to increase the lifespan of your roof. Various materials are used for roof insulation and some of them include acrylic barriers, bituminous asphalt or latex just to mention a few. Last but not least, you should remember to clean your roof regularly. This is should be done on asphalt shingles more regularly as they tend to favor the growth of algae which could make them decay more easily. You could notice the growth of this as some dark green or black staining on the roof and this should prompt you to get rid of it. Roof cleaning should be done professionally and it can be quite useful for the Shingles roofing material and it will also indirectly help to reduce the energy costs as a dark roof leads to loss of excess energy. These are just a few of the ways of increasing the lifespan of your roof. You should remember that the use of proper roofing material and proper installation are the initial things that determine how long a given roof would last. Written by True Son Exteriors, the best roofer Columbia, MO has to offer.